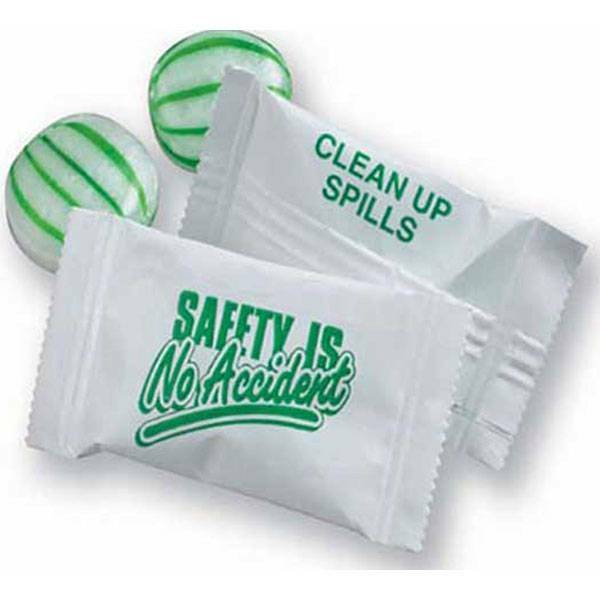 White wrapper with 'Safety is No Accident' in a Green imprint. Filled with Green Striped Spearmint. and Keep All Aisles Clear. Must be ordered in case lots of 1,000 mints.